Turkey’s southern and southwestern coasts are two of the few Mediterranean regions where it’s still affordable to buy a spacious family home by the sea. Villas in Turkey have long been sought after by those seeking a change in lifestyle or a family holiday home to return to year after year. Turkish houses can be as different in style as the regions in which they are located. Generally favouring an open plan style, villas for sale in Turkey are designed to make optimal use of outdoor space and sunlight, providing residents with the quintessential Mediterranean lifestyle. Turkey’s construction industry has grown from a handful of small companies to a wealth of developers, who pride themselves on using the best architects and the highest quality build products. Turkish property now rates among the best in the world in terms of design and safety. The best priced Turkish villas are found in Fethiye and Antalya. Bodrum and Kalkan’s villas are priced higher but generally have sea views. 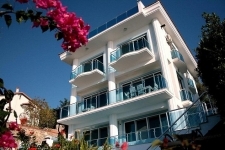 Rental yield is generally very good for Turkey villas, especially those in Fethiye, Antalya, Kalkan and Bodrum as more and more holidaymakers eschew hotels and turn to self catering accommodation. It’s possible to earn up to 7% annual rental income from your villa. 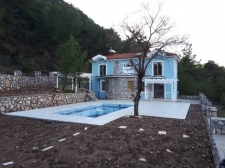 What’s more, to buy a villa in Turkey is sound investment – providing you pick the right spot. In the past year, Turkish property prices nationwide rose by more than 10%. A further 10% rise is forecast by the end of 2013.